The following announcement has been circulated today by the the American-Arab Anti-Discrimination Committee (ADC). American expatriates living abroad, especially in the Middle East, Asia and Africa, take note. (+) Oppose U.S. Department of Education’s Office for Civil Rights Assistant Secretary Kenneth L. Marcus’ decision to reopen a dismissed complaint against Rutgers University made by the Zionist Organization of America. His move to redefine anti-Semitism is a major policy decision designed to attack free speech on college campuses and intimidate pro-Palestine activists by charging them with ethnic discrimination. (+) Vote NO to the Anti-Semitism Awareness Act of 2018, which directs the Department of Education to consider a vague and broad re-definition of anti-Semitism that conflates criticism of Israel with anti-Semitism. Both of these actions fail to protect against hatred towards individuals of the Jewish faith, and instead censor First Amendment-protected advocacy for Palestinian rights. An opponent of academic freedom, Marcus has spent years aggressively trying to silence pro-Palestinian professors and students and censor criticism of Israeli policies on U.S. college campuses. Marcus is choosing to use a definition of anti-Semitism which targets critics of Israeli government policies. 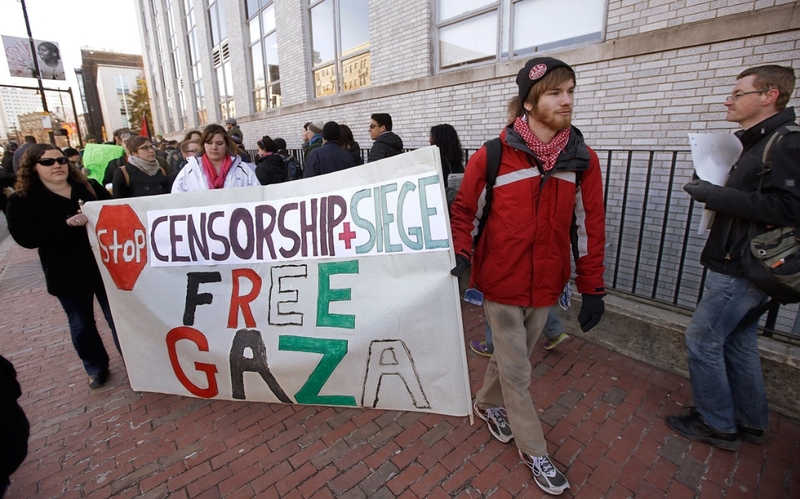 The Anti-Semitism Awareness Act purports to address rising antisemitism on college campuses, but a plain reading reveals that its real purpose is to silence campus advocacy for Palestinian rights and to censor criticism of Israeli government policies.